The Marvel universe has so many superheroes that it's hard to keep count. This awesome t-shirt will definitely help you keep track of your favorite heroes ! Hulk, Thor, Iron Man, Silver Sufer, Spider-Man and Captain America... they're all here on this Marvel Heroes t-shirt ! This Marvel t-shirt is grey and 100% coton. Si vous choisissez de recevoir votre "T-Shirt Characters" via Lettre Suivi, les frais de ports seront seulement de 2,95 € ! 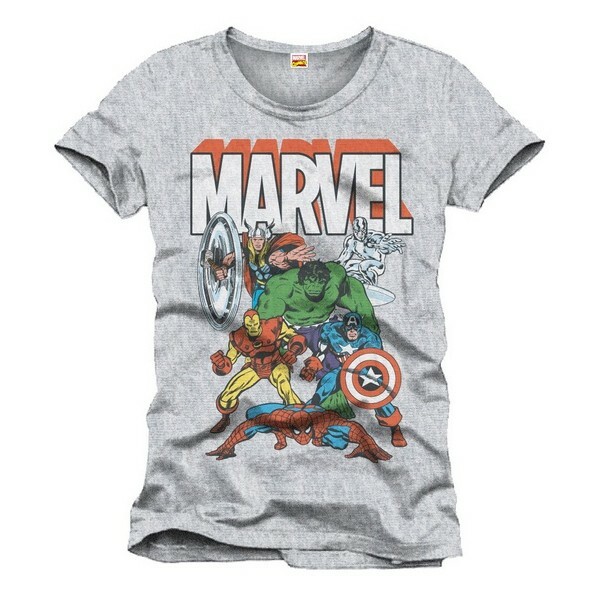 Ce T-Shirt Characters - Marvel Comics est en stock dans les tailles S/M/XL !